Although there are a few subtle changes to Audi’s admirable A6 midsize luxury sedan for 2016, it’ll take more than a couple of tire-kicks to find them. Meantime, expect the upcoming version of this 5-passenger posh-mobile to remain available in 8 well-wrought trims: the base 2.0T Premium, the 2.0T Premium Quattro, the up-featured 2.0T Premium Plus, the traction-heavy 2.0T Premium Plus Quattro, the potent 3.0T Premium Plus Quattro, the 3.0T Prestige Quattro, the TDI Premium Plus Quattro, and the flagship TDI Prestige Quattro. All Quattro-designated trims will tote full-time all-wheel drive (AWD), while TDI-labeled trims will return packing a torque-laden turbodiesel powerplant. As for the latest profile progressions, this venerable and premium-grade family 4-door, which has been around since the mid-'90s, will boast a slightly revised grille and a pair of new exterior color selections, as well as an almost indiscernible narrowing of the LED headlights and taillights. Meantime, further upgrades for 2016, though not readily distinguishable to the eye, are nonetheless noteworthy and include improved MMI (Multi Media Interface) technology and some added safety features, as well a hefty jump in power and efficiency numbers for both non-turbodiesel engines. Look for the biggest power improvement to come in the base, front-wheel-drive-only (FWD) 2.0T Premium trim, along with its Premium Quattro sibling. The standard 2.0-liter turbocharged inline 4-cylinder (I4) engine returns with boosted power—252 hp and 273 lb-ft of torque—and is now managed by a standard 8-speed auto-manual transmission that replaces last year’s continuously variable transmission (CVT). This peppy new powerplant also comes complete with standard steering-wheel-mounted paddle shifters. Needless to say, expected mileage numbers for this and all other A6 powertrain offerings are not yet available, but be advised that all of Audi’s non-diesel forced-air engines burn only premium unleaded gasoline. Moving up to the A6’s 3.0T Quattro versions, expect an improved edition of the supercharged 3.0-liter V6 that’ll put out 333 hp and 325 lb-ft of torque. This mill again mates with the 8-speed auto-manual transmission, which, it should be noted, Audi claims has been revamped for smoother shifts, easier auto-manual functioning, and better fuel economy in all of its 2016 A6 offerings. Additionally, a further improvement to this super-force-fed V6 is the automatic shut-down of the supercharger at cruising speed, an improvement Audi says will add a few more miles to a tank of gas. As mentioned, the 2016 A6 TDI, in both Premium Plus Quattro and Prestige Quattro versions, sports the 3.0-liter turbodiesel V6 that pounds out 240 hp and an impressive 428 lb-ft of torque. Although its power numbers stand pat, this forced-air oil-burner now mates with the upgraded 8-speed auto-manual transmission, so expect at least a marginal improvement to last year’s 24 mpg city/38 highway/29 combined EPA fuel economy estimates. Returning appearance accoutrements that complement the A6’s oh-so-subtle styling upgrades include 18-inch alloy wheels, xenon headlights, a power sunroof, and Audi Drive Select for driver modification of throttle, steering, and shifting responses to suit the mood of the moment. Inside, the 2016 stable offers no new accent upgrades, which may come as a disappointment to those expecting improvements to interior appointments in the base Premium editions. 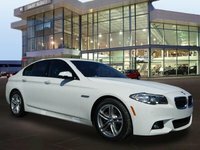 Nevertheless, look for such standards as leather upholstery, heated power-adjustable front seats, 3-zone (or 4-zone in the Prestige) auto climate control, cruise control, telescoping tilt-wheel steering, and memory for driver's settings across the lineup. Meanwhile, a new-for-2016 6.5-inch touchscreen display complements the faster and more intuitive basic MMI infotainment system that adorns the lower trims. Techno-goodies and entertainment features in lower trims include Bluetooth hands-free calling and a single-CD player with 10 speakers, as well as satellite radio and an iPod interface. The A6 Premium Plus and Prestige iterations, meantime, add standard voice-activated navigation, a new 8-inch infotainment display, and 4G LTE WiFi hotspot capability to all of the above. The Prestige trims additionally include such exotic standard bling as ventilated front seats, a 14-speaker Bose premium stereo, upgraded MMI, and a power-adjustable steering wheel. As is traditional, lower-level versions of this semi-sporty sedan can be upgraded with optional equipment that comes standard in higher trims, while S-Line interior appointments, a heated sport steering wheel, heated rear seats, and a sport-tuned suspension again remain available. Further options include remote engine start and a snazzy Black Optics package boasting high-gloss black exterior paint and 20-inch alloy wheels with performance tires. Standard safety stuff throughout the 2016 A6 lineup includes 4-wheel antilock brakes (ABS), front side-mounted airbags, rear head airbags, daytime running lights, high-intensity-discharge (HID) headlights (adaptive in the Prestige), turn-signal-integrated mirrors, and a remote antitheft alarm. Also standard throughout the A6 stable is Audi’s Pre-Sense safety system with forward (and in the Prestige, rearward) collision-mitigation braking, as well as pre- and post-collision safety systems. Additionally, Premium Plus and Prestige trims add a rear-view camera, improved blind-spot alerts and upgraded lane-keeping assistance, while the Prestige tosses a new-for-2016 head-up display and upgraded night-vision technology onto the pile of available safety equipment. It should be noted that both the National Highway Transportation Safety Administration (NHTSA) and the Insurance Institute for Highway Safety (IIHS) have traditionally given Audi’s capable A6 high marks. As for owner satisfaction, there are a few owners who’ve complained about a bit of understeer in corners, while others have expressed concerns about premature brake wear. 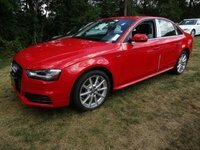 However, the consensus among owners is that the A6 has always offered a pleasant combination of looks, ride comfort, handling prowess, and power. There’s no reason to believe 2016 editions won’t delight the well-heeled family as well. Meanwhile, Audi has dropped a few hints that a complete overhaul of the A6 may be in the cards for the 2017 model year, but you can expect to see the 2016 edition up for sale in the spring of this year. 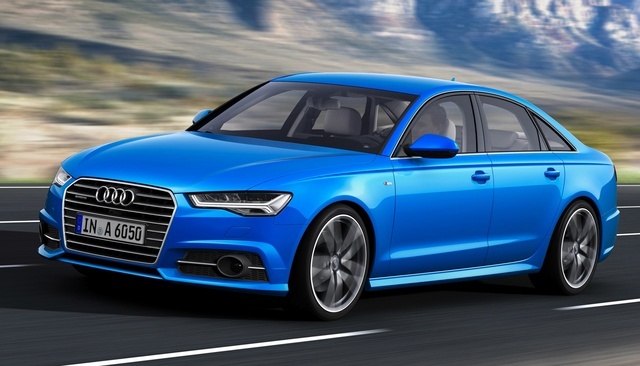 What's your take on the 2016 Audi A6? Users ranked 2016 Audi A6 against other cars which they drove/owned. Each ranking was based on 9 categories. Here is the summary of top rankings. Have you driven a 2016 Audi A6? 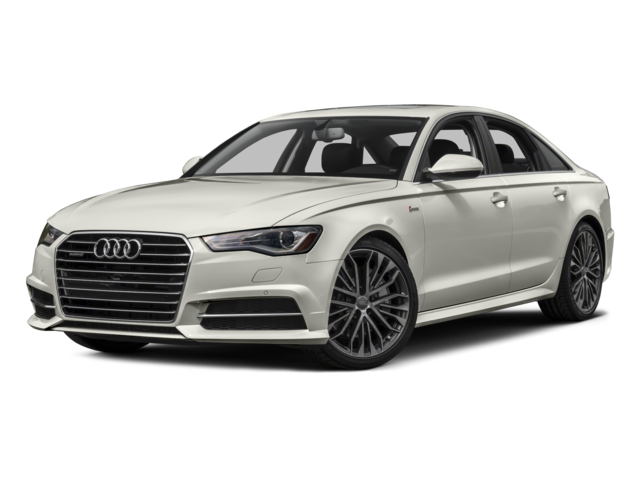 I want to purchase a 2016 Audi A6 Premium with 53,000 miles. Are these a lot of miles and do Audi cars last long?